Are your clothes feeling a little boring? Here are a few pieces that will add the "wow" factor to your wardrobe. 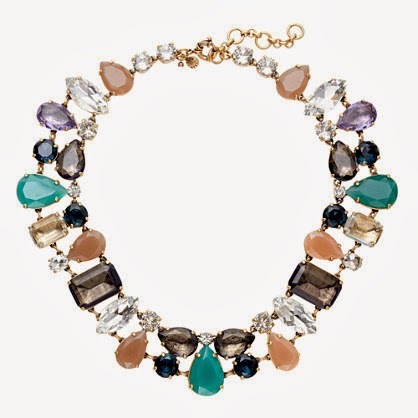 The statement necklace--Be glamorous and bejeweled with an amazing necklace that you can wear with everything from a tee and jeans to a little black dress. 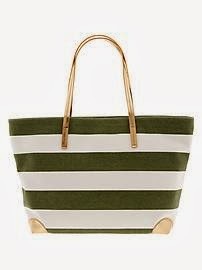 Careful not to wear a lot of other jewelry which will distract from the fabulousness of this piece. Look for one that has an adjustable chain so that you can wear it with different necklines. 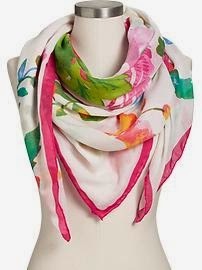 Colorful scarf--Turn any blah outfit into something fun with a scarf in a burst of color. 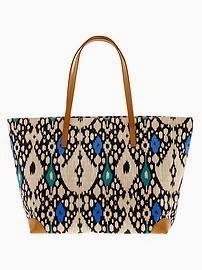 Striped or printed tote--I tend to gravitate toward a solid color bag, but this year I bought a navy striped tote which I love with casual outfits. Layering bracelets--Throw on some simple earrings and a lot of arm candy! A metallic shoe: Let your feet be a little flashy. 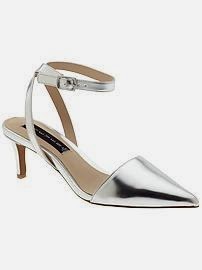 These metallic pointy toe sling-backs will look amazing with just about any outfit. 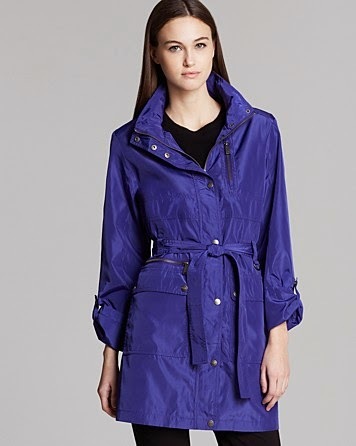 Bright trench or jacket--This bright purple jacket will give you an instant pop of color.